Created by sound artist Vaughn Whitney Garland, RightHereOnce is a series and archive-- made accessible through GPS mobile mapping technology-- that investigates urban spaces and community identity. Through online resources, this digital inquiry into public spaces, history, and shared knowledge is accessible to listeners who are navigating urban sidewalks, historic paths, and nature trails. 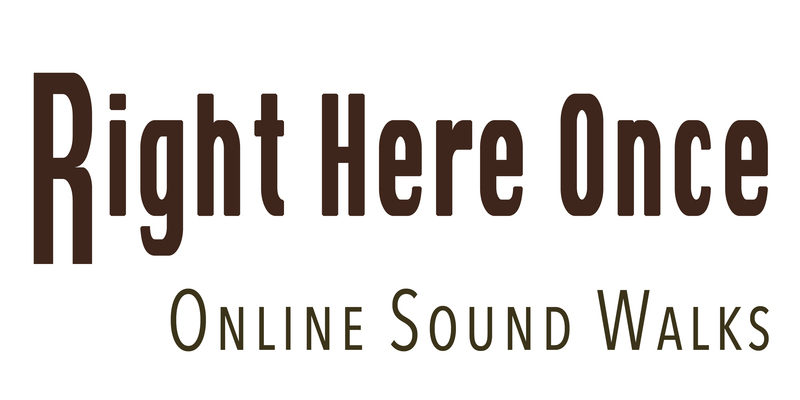 The goal of RightHereOnce is to collect, connect, and present archives, historical documents, images, websites, and articles, as well as audio files developed from close examinations of spaces, community experience and research. The RightHereOnce walks and archives are a public resource, always available for free through web-based mobile technology. Using RightHereOnce requires only a web browser with internet connection; it does not require a download. Funded by Science In The Park and developed by Vaughn Garland Brandon Simmons for RightHereOnce. If interested in learning how to participate in or start a series, please contact RightHereOnce. Content warning: The stories included in this project contain themes that may be triggering, including violence, death, and abuse. In Our Voices! 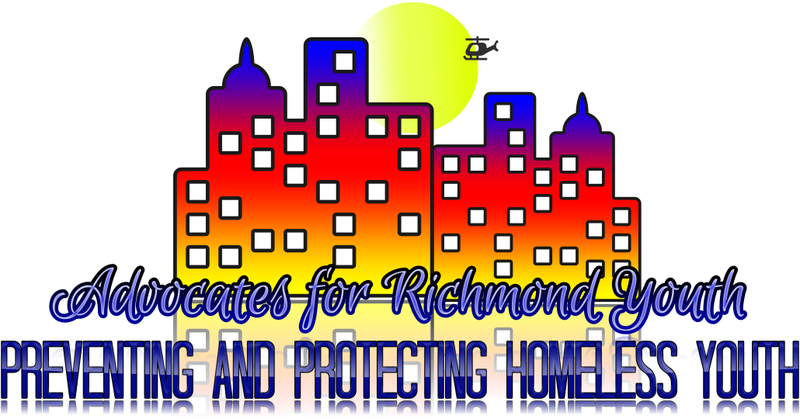 is a project of Advocates for Richmond Youth (ARY), a participatory action research team working to lift up the experiences of youth homelessness and housing instability in our community and hold stakeholders accountable to taking action to meet the needs of our young people. ARY took on this project to move our community toward the achievement of the goals we helped to set with the Youth Housing Stability Coalition. Understanding the diversity and complexity of youth housing instability helps us to understand, as a community, the need for a full array of programs, services, and structural shifts in order to effectively END youth housing instability. We encourage you to check out the full plan of the Youth Housing Stability Coalition. In Our Voices! was undertaken by Advocates for Richmond Youth, including: Aaric, Aaron Kilgore, Aiyanna Horton, Brianna Jones, Chanco Trammell, Dee Jones, Derek L., Destini M. Barnette, Dmitri Blair, Elaine Williams, Jae Lange, Justice Philip Valentine, Kahlil Spencer, Kennisha Jeter, Kimberly Embe, Messiah K. Jacobs, Mintory Williams, Nahdiyah Muhammad, Naya Williams, Shavonda Allen, Tiffany Haynes, and Alex Wagaman. This project was made possible by the following contributors: Richmond Memorial Health Foundation through a grant to the United Way of Greater Richmond & Petersburg, United Way of Greater Richmond & Petersburg, a course support grant from the University of Richmond Bonner Center for Civic Engagement, and the WILL* Program, University of Richmond. A Virginia Museum of Fine Arts and Museum Leaders in Training Teen Program. The 2017-18 Museum Leaders in Training program focuses on museum archival collections and documentation. Teens attend weekly sessions which include lectures exploring the various approaches to archiving across museum departments and hands-on workshops illustrating the strategies professionals use when documenting and storing art and other media for preservation in a collection. Using interviews, scholarly research, online data, and other sources, teens worked together to document the life of Richmond African American artist Benjamin Wigfall (1930-2017) and his experiences as a young artist living in the historic neighborhood of Church Hill. Born in Richmond, Benjamin Leroy Wigfall (America, 1930-2017) grew up in Church Hill, a neighborhood known for historic moments and challenging times. After taking classes at the Virginia Museum of Fine Arts as a high school student, he attended Hampton Institute (now Hampton University), with partial funding provided by VMFA fellowship. 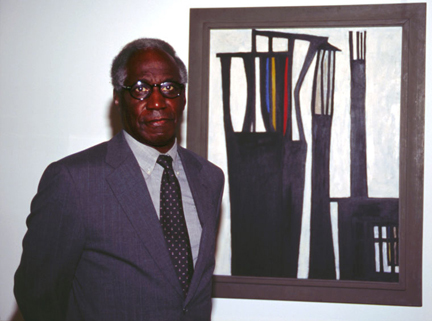 After graduating from Hampton, Wigfall earned an MFA from Yale School of Design and then went back to Hampton as a professor of art in the late 1950s and early ’60s. In 1963, he moved to New York to teach art at the State University of New York at New Paltz, where he also owned a gallery. Wigfall died on February 9, 2017, at the age of 87. A Sound History For the Trail of Enslaved People is an audio archive that presents stories and information about the slave trail, as well as the history of enslaved people in Richmond, to visitors and residents who choose to retrace those steps. The three-mile walking trail memorializes the brutal route taken by enslaved Africans to Virginia, and away from Richmond's slave makerts to places throughout the nation. Difficulty: easy to moderate. (Class 3 handicap accessible.) • Length: 3 hours +. From a Powhatan Indian fishing village to a 20th-Century steel plant, this 65-acre island in the heart of Richmond shows the social and economic history of the city in microcosm. Massive cliffs, crashing rapids and stone ruins beckon you to explore three hundred years of history. 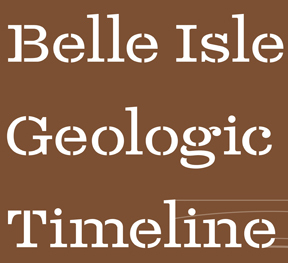 Welcome to Belle Isle--one part of the city's James River Park System. Written and narrated by Ralph White, produced and developed by Vaughn Whitney Garland for Right Here Once. 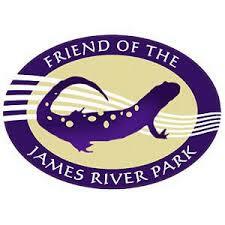 Generous support for this project provided by the Friends of the James River Park. Begin your tour in downtown Richmond from the parking area on Tredegar Street, west of 5th Street. The two James River Park Geology Tours -- north and south -- are easy walking examinations of the geology of the James River in Richmond with a sprinkling of local history and fun facts. These audio tours belong to a series of upcoming online sound walks about nature and history along the James River in Richmond. They were produced by Anne Wright for the Science In The Park website, developed by Vaughn Whitney Garland, and narrated by Ralph White, former park manager. Travel through time and examine how the Pony Pasture area of the James River Park System as well as the river’s current route have been shaped by both floods and human impact. When people drained swamps to plant crops, animal and plant life changed over time in reaction to this activity. Tour the Pony Pasture to have a look at how life has evolved along the banks of the James. Begin your tour in the parking lot of the Pony Pasture, 7310 Riverside Dr. Difficulty: easy to moderate. (Class 3 Handicap Accessible.) • Length: 1.5 to 2 hours. While marveling at the skyline, enjoy this tour of the City of Richmond Floodwall. The Floodwall, a joint project of the City and the U.S. Army Corps of Engineers, protects the City from the swelling of the James River. The Floodwall tour provides an overview of the history of the floodwall and surrounding developments. Begin your tour at the Manchester Bridge parking lot located at Semmes Avenue and 7th Street. Warning!!!! This tour may not be currently available due to construction along the Manchester bridge. Walking Time- 45 minutes to an hour. The Soundways of Route 5 is a collection of sounds one might hear as they drive down Virginia’s historic State Route 5. While this byway traverses farmlands and small communities, it is also a site of dark histories and secrets that extend as far back as southern plantation life and the founding of our nation. Within view of countless historic markers and roadside turnoffs, a vibrant rural community exists along the road from Richmond to WIlliamsburg. Right Here Once traces the historic past of this roadway and archives life as it exists along the highway's shoulders. Geo Time Trail is a collaboration by Richmond Community Highschool Groundworks RVA Green Team, students from Richmond's Open Highschool, VCU Bilolgy Department and Rice River Center and The James River Park System. This tour is located on the swinging bridge below the Lee Bridge that crosses to Richmond's Belle Isle. Geo Time Trail was produced by Anne Wright and Groundworks RVA, developed by Vaughn Whitney Garland, and written by students at Community High. "Artist captures audio to build community"
RightHereOnce was funded by Science In The Park and developed by Brandon Simmons. Vaughn Whitney Garland is a Richmond based sound artist and independent curator of art. He received a Ph.D. from the interdisciplinary Media, Art, and Text program at Virginia Commonwealth University and a M.F.A. in Painting and Printmaking from Virginia Commonwealth University. Amonst membership in several Richmond art galleries and city commissions Garland co-founded Richmond's first outdoor sculpture exhibition in 2005 and a sculpture exhibition for the RVA Street Art Festival in 2013.